Whenever I think about Constance Lloyd Wilde, and what she had to endure, all alone in an age when it was important to be “earnest”, respectable and have the sense of decorum, I cannot help but wonder: what was her marriage like? When did she understand about her husband’s sexual behaviour? How did she feel? Let’s start from the beginning. Certainly, she had her firm points of view. For example she disagreed with Wilde’s aesthetic view on the relationship between art and morality, in fact, she clearly explained in a letter to him that “... that there is no perfect art without perfect morality, whilst you say that they are distinct and separate things...”. 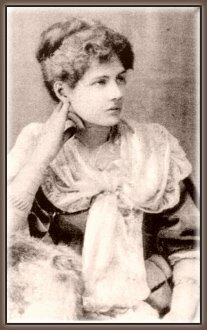 On 26 November, Constance wrote to her brother, Otho, that she was engaged to Wilde “and perfectly and insanely happy”, and Wilde wrote to Lillie Langtry in December: “…I am going to be married to a beautiful girl called Constance Lloyd, a grave, slight, violet-eyed little Artemis “. 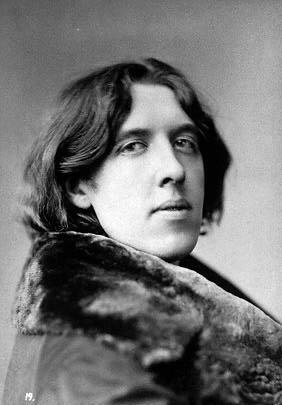 On 29 May 1884, at 2:30 p.m., Wilde and Constance were married in St. James’s Church, Sussex Gardens, the witnesses including Lady Wilde and Oscar’s brother, Willie. Shortly after their marriage Wilde will write to her : “I feel incomplete without you” . The dinner parties at their Tite Street home attracted all the most important figures of the time. As a hostess, Constance was a success, though inevitably she was overshadowed by Oscar, as, indeed, almost everyone else was in his company. 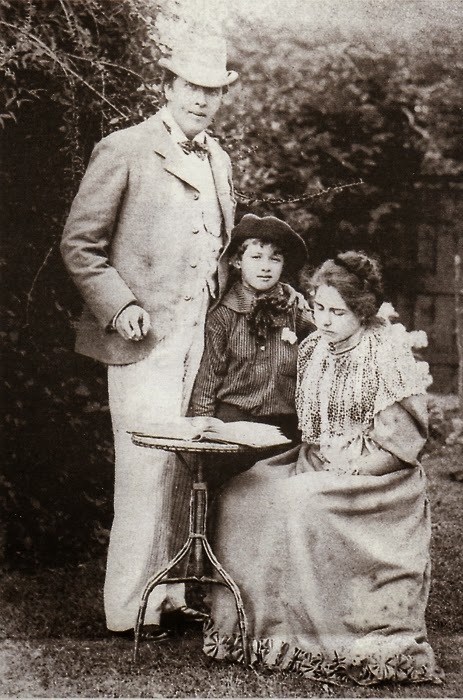 Constance’s pregnancies and births of Cyril and Vyvyan had an adverse effect on Wilde, for Constance was often unwell during this time, so they slowly become sexually estranged. His social relationships now tended to exclude Constance, who turned to her writing and participated actively in the Liberal politics of the day. It was about this time that the Wildes welcomed young Robbie Ross into their home. Robbie, a loyal friend to both throughout the rest of their lives, became Oscar’s lover. The situation had changed, and it didn’t go unnoticed Oscar started to drop hints to various young men that his sexual preferences had changed, while Constance, with seeming innocence, welcomed them all as family friends. After all, she was just following the Victorian motto :”public virtues and hidden vices” . “I was always on the best of terms with Mrs. Wilde. I liked her and she liked me. She told me, about a year after I first met her, that she liked me better than any of Oscar’s other friends“. 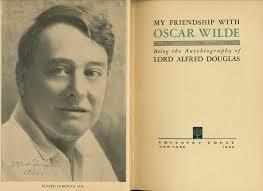 Wilde seems to contradict these words as he wrote to Douglas that their friendship had always distressed Constance. Still, whatever confusion existed in Constance’s mind before the trials concerning Douglas and Wilde, she was “wonderfully loyal,” Wilde told Robert Ross, adding: “She could not understand me, and I was bored to death with the married life”. Harsh new rulings on homosexuality were introduced to England and Wilde was sentenced to two years of hard labours. After Wilde’s imprisonment, Constance changed her and her sons’ last name to Holland to estrange themselves from Wilde’s scandal and forced him to give up his parental rights. The couple never divorced. Constance visited Wilde in prison and paid his expenses when he left it. 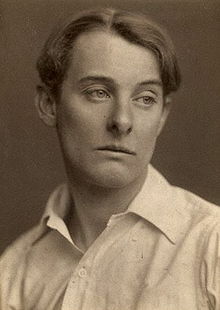 She planned, as he did, for a reunion, but when Bosie resurfaced, Constance accused Wilde only of being “weak as water” and refused to sent him money. In the meantime Constance had started to feel unwell. In 1894, she wrote: ‘I am alright when I don’t walk.’ A year later, her walking had deteriorated. Constance sought help from two doctors. One of them was a “nerve doctor” from Heidelberg, Germany who believed in treating patients with baths and electricity. The second doctor was an Italian, Luigi Maria Bossi, who somehow thought that neurological and mental illness could be cured with gynecological operations. She was therefore operated for uterine fibroid in 1895 and 1898, the latter of which ultimately led to her death.It seems that Constance was wrongly diagnosed, as the symptoms nowadays would be associated to multiple sclerosis. A tragic end to a tragic life.